Some of these recommendations contain affiliate links. I appreciate when you all shop through them, but I’d rather you see if something is streaming for free first; we like to look at Just Watch to see if content is streaming somewhere. Why do I scour the internet every single year to try and remember all of the holiday movies and television specials we want to try and catch? Let’s be real: when was the last time the “must watch” list changed? Probably when Elf came out. 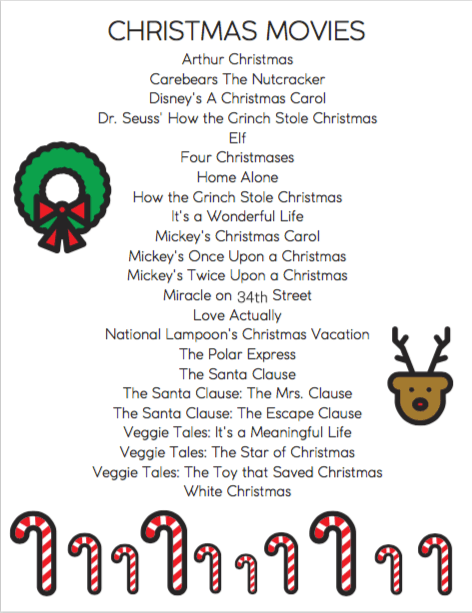 So earlier this week, as an excuse to avoid doing real work, I threw together a checklist of sorts for Christmas TV specials we’d like to watch, as well as Christmas movies that would be worth a repeat viewing each year. I thought, since I spent all day a few minutes on the lists, I’d make them available to you. Now don’t get me wrong: these lists are not meant to be all-inclusive. For example, I’m pretty sure the Hallmark channel airs approximately 867 new holiday movies each year. There are also fun television series’ like “The Great Christmas Light Fight”, and holiday episodes of basically every show ever. I did include a few episodes from Disney Junior shows my kids are currently into… but I very intentionally left off all of the Snow Buddies and Santa Paws movies. (Why are there so manyyyyyy?) You’re on your own if you want a completely exhaustive list of every Christmas thing you could put on your screen. I didn’t include some of my friends’ favorites such as Jingle All the Way, Babes in Toyland, The Holiday, or Scrooged. I didn’t include Gremlins or Die Hard or other movies that I likely agree sort of count as “christmas movies”, but that we both know… kind of don’t. 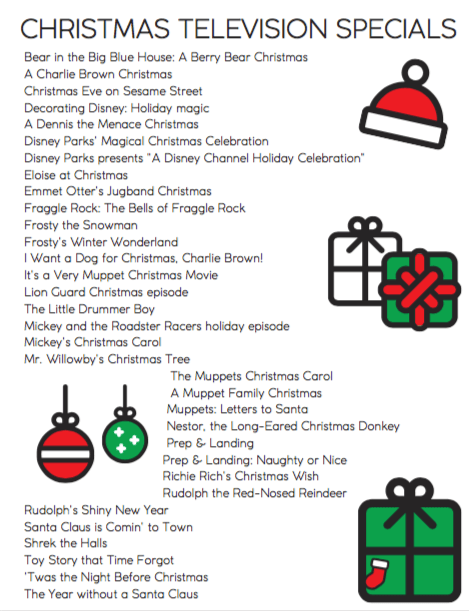 I probably even left off shows we’ll almost certainly watch (such as Olive, the Other Reindeer). While I’ve been planning to share our favorites for a while, as I mentioned – the checklist was just my excuse at avoiding unpacking from a recent overnight at Great Wolf Lodge. So though it’s not my most heavily researched work, maybe at least one other person will want to print it out or save it as a PDF as a start, so that it’s not Christmas Eve before we all realize we didn’t carve out any time for hot chocolate and our favorite holiday films. For real – if you have an hour or so, this is hands down the most fun episode I’ve ever been on… which is saying something. You’ll enjoy hilarious discussions about what kind of creature PBS’ Arthur actually is and whether he has a snout (despite him not being featured in any holiday move we’re aware of), how Santa Claus was saved from getting blown up by oil riggers, and whether or not Carebears have the definitive version of the holiday classic “The Nutcracker”. The holiday conversation starts about 12 minutes in, if you’re just looking for yuletide related laughs epic movie recommendations from experts. 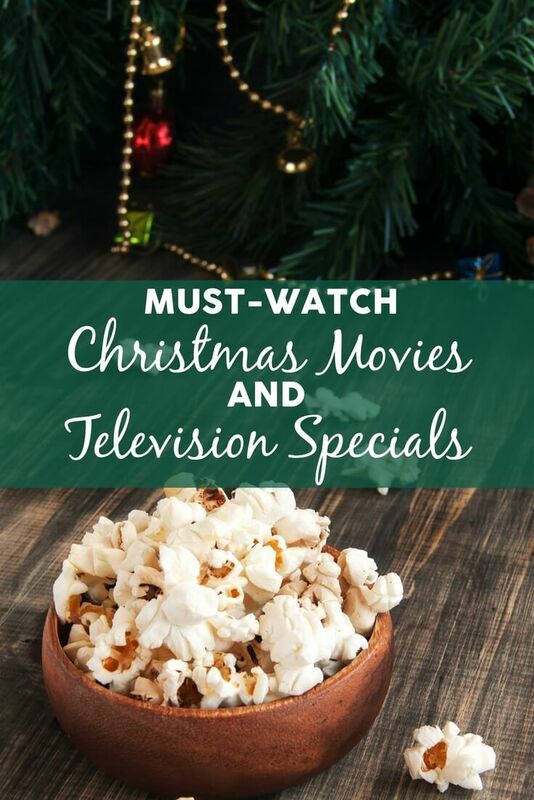 Now let’s hear it – what are your must-watch Christmas or holiday movies and television specials each year? Any on our list that you had forgotten? Wishing you a relaxing holiday season with lots of time to spend with family and friends! Pin the list for the next holiday season!